There’s no such thing as a vacation when you are an artist because once you have free time, there’s almost an obligation to throw yourself into a project. And by you I mean me. I’m the never ending artist, except when I get sick, which is normally never until last week when I experienced the flu. I’m still all over the map with symptoms. Yesterday I thought it felt like bronchitis and today I have the sinus headache, which I’m hoping will just leave on its own. Blech. 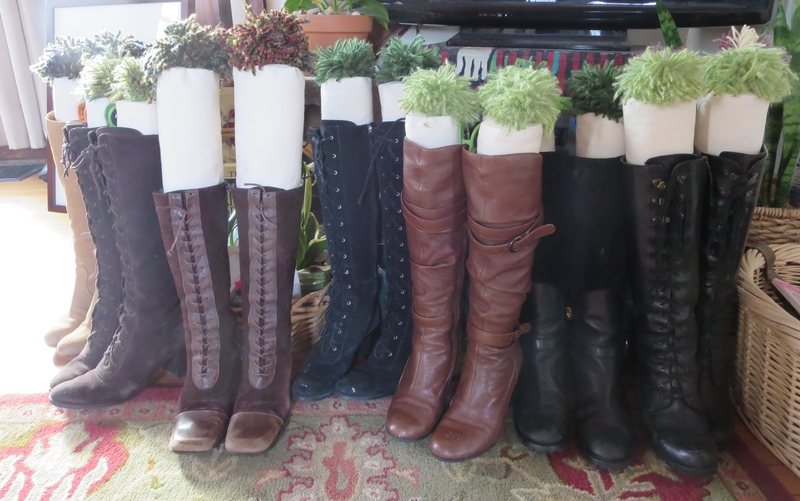 But I still managed to FINALLY create the boot inserts I have always wanted to make. I bought duck cloth, polyester fiber-fill (JoAnn Fabrics), Ziplock bags, and pinto beans (Target) and went to town. I had a pattern from the Internet but it was really too big so I spent a bunch of time trying to figure out the right size and more time adjusting the filling. They take one straight sewing machine pass. Add a rubber band to the bottom and fill them first with two handfuls of beans in a plastic bag then the poly fiber-fill. Each top had to be hand-stitched but I did that while watching Anchorman 2 on Epix, so I laughed through the process. I added the pom-poms this morning after viewing a tutorial on Youtube. 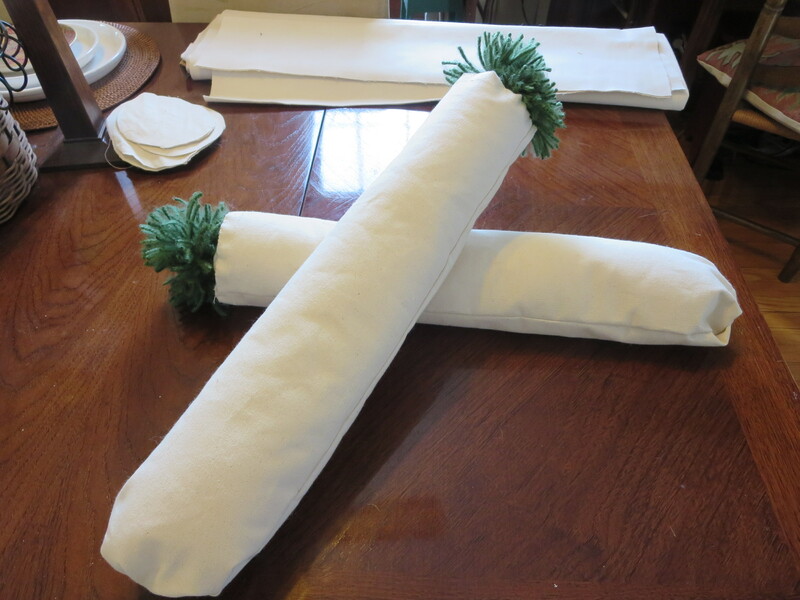 The trick is to wrap the yarn around your hand 60 times to get them nice and full. I made eighteen of them, so nine pair. 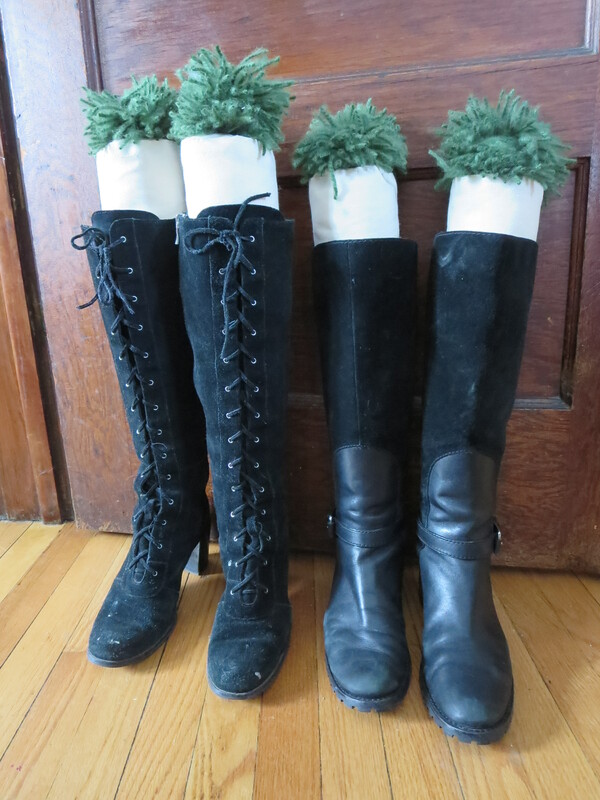 The original plan was to make some to sell but I have eight pairs of knee-hi boots so I either have one pair to sell or the more likely choice – I will just have to buy another pair of boots! It may not look like it, but this project represents an entire day of my life so selling them would not be very profitable unless I sold them for $25 a pair (at least). I guess I could do that but now that I finished the task, I really don’t feel like making any more. Booty Valentine’s Day feels like a one-off. Time for you to boot the flu, Karen. 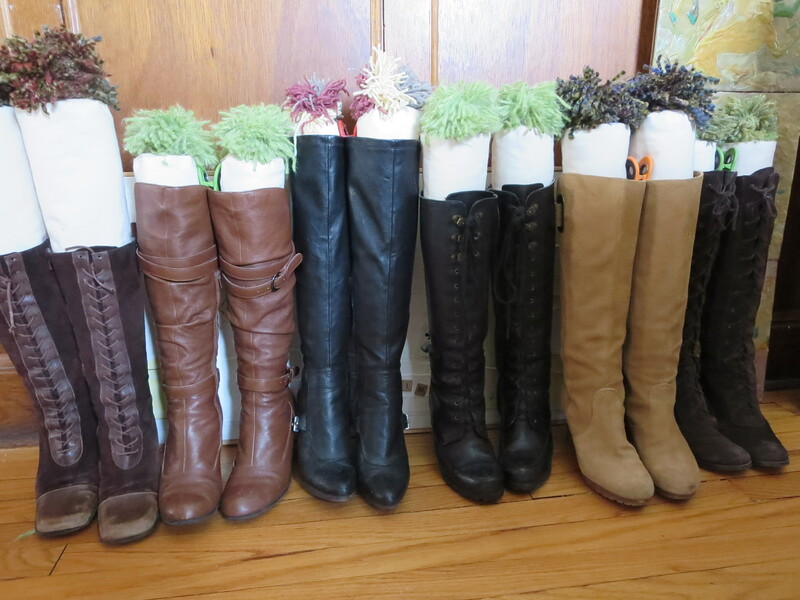 You own a lot of high-tops, you do. 🙂 Insert feet here. 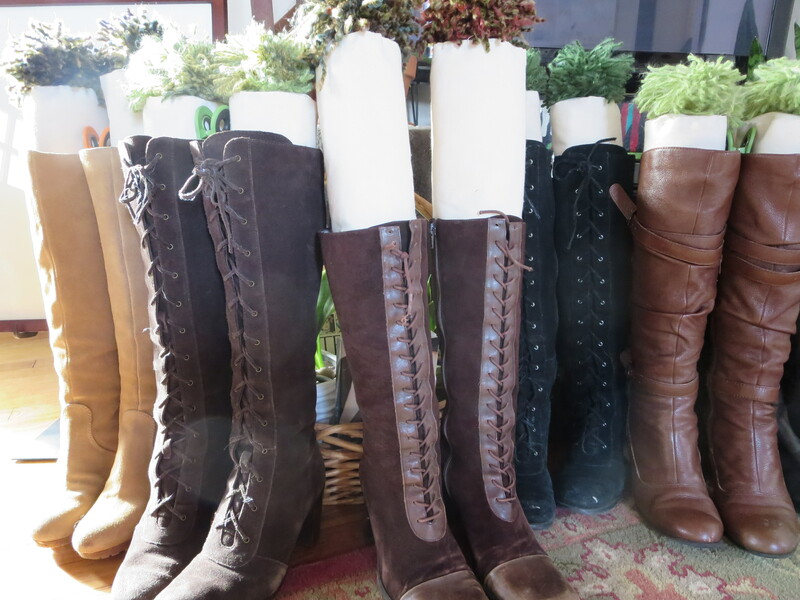 Love your boot collection; have that weakness for great boots! I taught with Laurel Morton at SU for a long time, She sent me your bootie valentine!